The Hartsfield-Jackson airport in Atlanta is the busiest in the world when we look at sheer volume of people, followed by Beijing, Tokyo-Haneda, and London Heathrow. 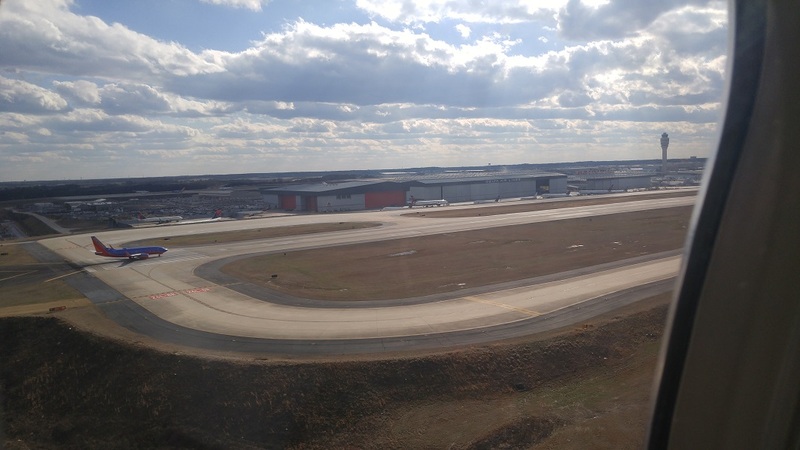 Because of that, it is no surprise that the designers have gone to great lengths to ensure that the layout can both handle current volumes as well as offer room for expansion (as seen recently with the addition of Concourse F). The airport itself is laid out in a series of parallel concourses that are labeled from A to F, with a Terminal concourse (“T”) preceding it. Domestic baggage claim is located in concourse T, while international baggage claim is found in concourse F. A few years ago, before the construction of concourse F, the international baggage claim was located in terminal E. This is known to lead to some confusion as not all the signs have been replaced – be careful! As this is the busiest airport in the world, it should also not come as a surprise that it is serviced by a large number of airlines from various alliances: from American to United and Southwest. It is, of course, the home for Delta, and it is not uncommon to see AirFrance and KoreanAir flights arrive and depart from Atlanta. The routing options are similarly plentiful with options throughout Europe, the Pacific Rim, China, large portions of Africa, as well as Central and South America. At least one SkyClub can be found in each concourse at ATL, with some having two! Keep in mind that not all SkyClubs are created equal, however, with one of the two in a given terminal being much better than the other. The clubs at A17 and B23 are personal favorites, for example. They are roomy and the staff is always helpful. In addition to the SkyClub options, you can find The Club in concourse F and an American Airline’s Admiral’s Club in concourse T. Access to The Club is available to members of LoungeClub, Priority Pass, or Diner’s Club International. Priority Pass is offered to all American Express Platinum and Citi Prestige cardholders, so it is the most common method of entry. My favorite thing about this lounge is that you are able to get Glenlivet 12 complimentary! Can’t beat free! Two points of note for travel through Atlanta: they are trying a new boarding process with three parallel lanes which seems to be helping, and an annoyances were expressed with the TSA by the airport itself given absurd wait times. 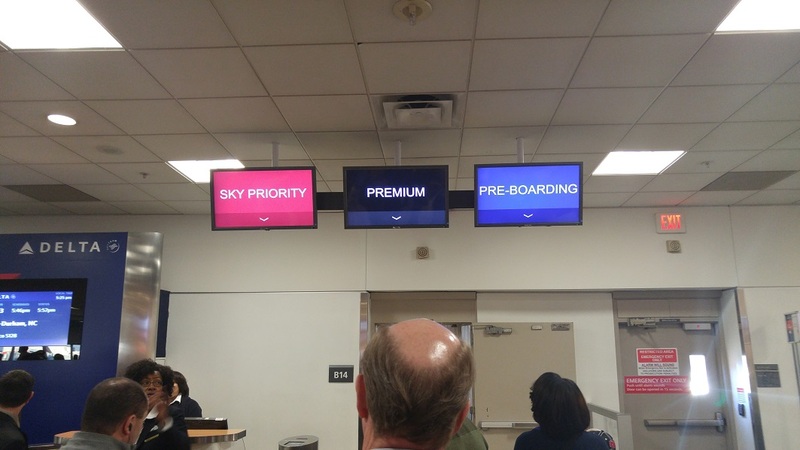 Be sure to give yourself a little extra while the TSA tries to allocate additional man-power to handle the passenger volume (they certainly have the lanes…) when departing from Atlanta! This isn’t really a concern for passing through, unless you are transferring from an international flight to a domestic one. 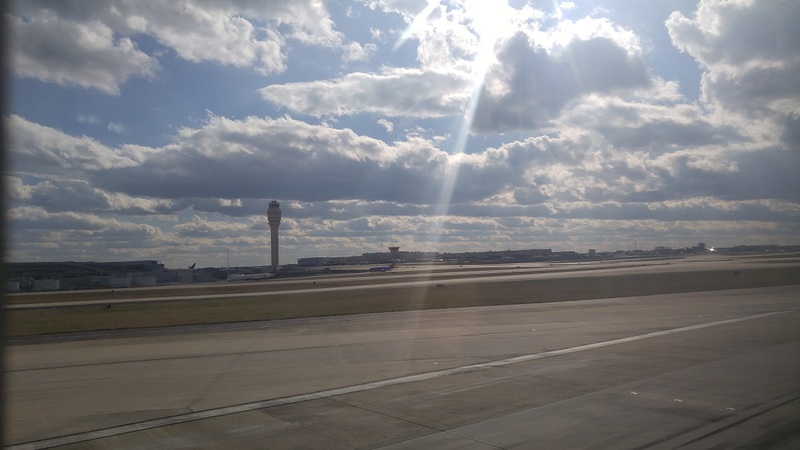 Last week, between work and personal travel, I was bouncing between four airports – DTW, ATL, RDU, and BOS. Thanks to that, I am able to continue my series on airport information! Hopefully what I have to offer will be of some benefit to y’all. 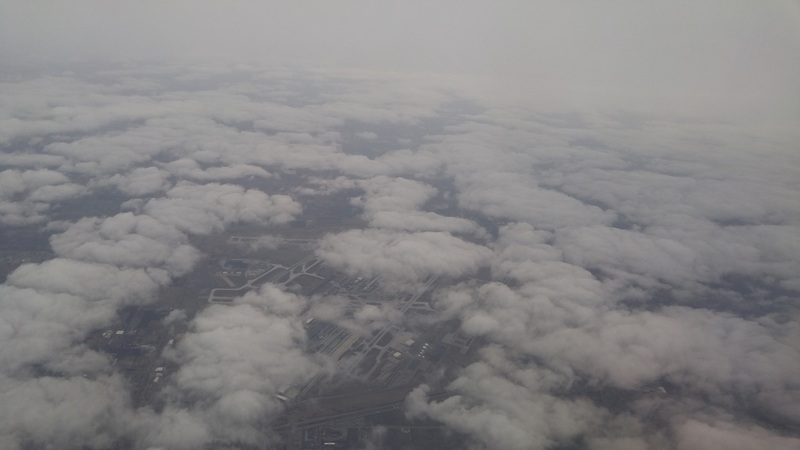 Though difficult to tell from the picture above, the Detroit Metropolitan Airport is split into two completely independent structures: the North Terminal and the McNamara Terminal. The newer structure, the McNamara Terminal, handles Air France, Delta, and other SkyTeam code-shares (as well as the only Virgin Atlantic flight for DTW), while the older terminal handles all other airlines. The McNamara Terminal is further divided into three concourses: A, B, and C. The larger planes arrive and depart from the A concourse while B and C handle regional jet traffic. There are four SkyClubs located in the McNamara Terminal: three within the A concourse alone, with the fourth between B and C. In the North terminal the only option is the Lufthansa club. 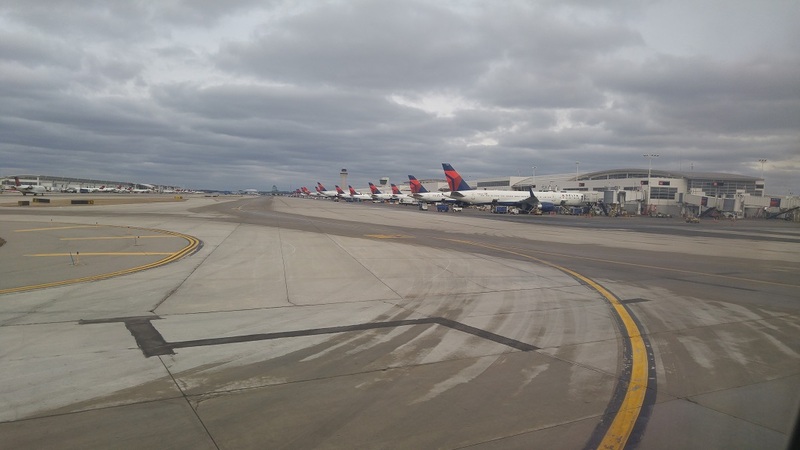 As a major international hub, DTW provides the opportunity to visit quite a few locations on a wide variety of planes. 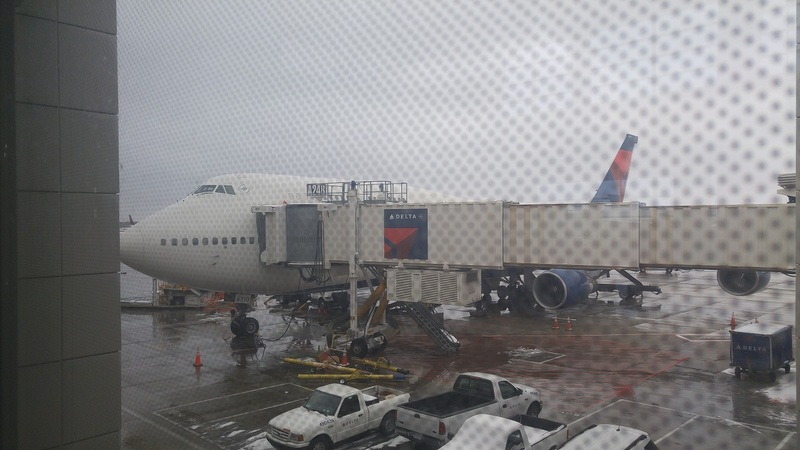 It is one of the few locations in the US where you can still fly a Delta 747-400, for example! Similarly, you can fly on Royal Jordanian’s 787 Dreamliner from the North Terminal. The list of direct flights is quite large but some highlights include: Paris, Seoul, Tokyo, Amsterdam, Frankfurt, London, Shanghai, and Beijing! 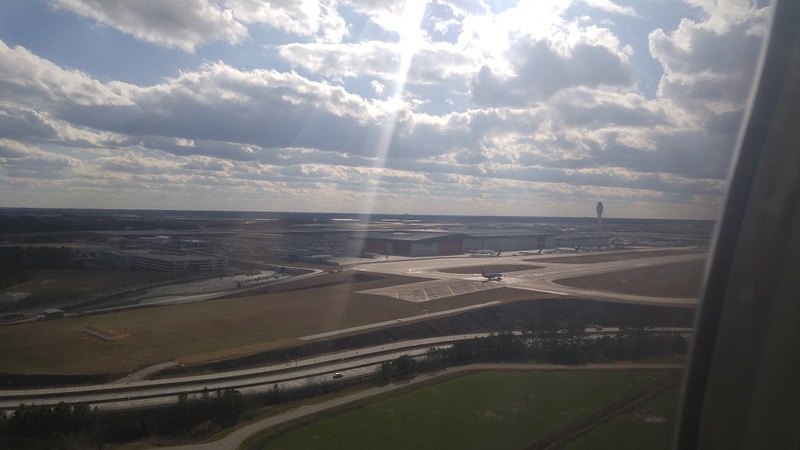 As the start a series on various airports from the viewpoint of a traveler (frequent or otherwise), it felt the natural to begin with my local airport: Raleigh-Durham International Airport, RDU. RDU is quite a gem given its physical location. As the airport for the Research Triangle region, it has a great deal of demand placed upon it, and as a result has some very interesting routes. For example, you can take direct flights to London, Toronto, Los Angeles, and soon to Paris! As with many airports in the United States, RDU offers standard priority security and support services for the “big three” carriers. Additionally, TSA PreCheck is also available as an option. The real surprise is the presence of Global Entry! Global Entry makes for a much easier return from some of the locations that you can reach from Raleigh, and I see it becoming more of a prominent feature as additional routes are added. There are both a SkyClub and Admiral’s Club located in Terminal 2 – the terminal that houses all airlines other than Southwest. Located immediately after security, it makes it easy to rest a little before or after a flight. Just keep in mind that alcohol isn’t available before noon on Sundays! What about you? Have a favorite airport or one I should cover?